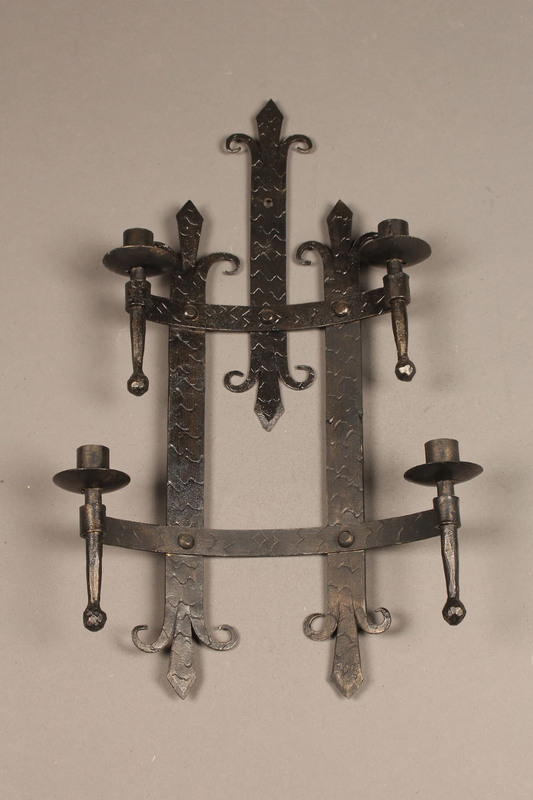 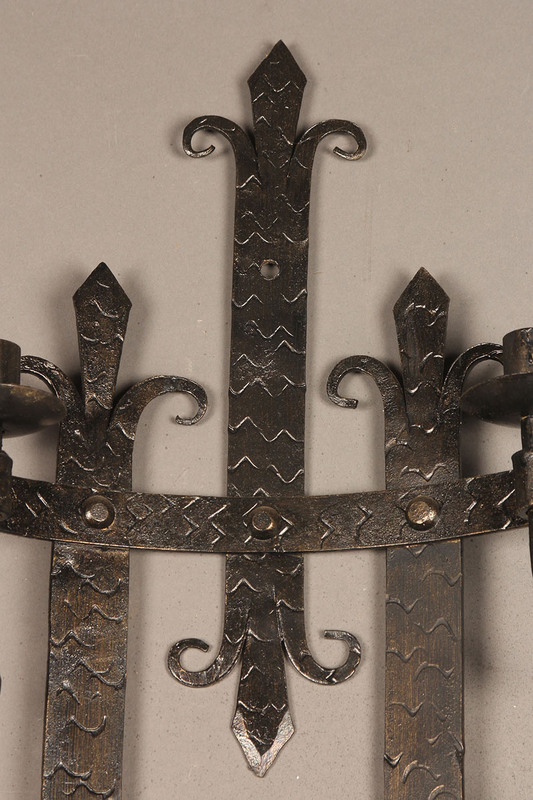 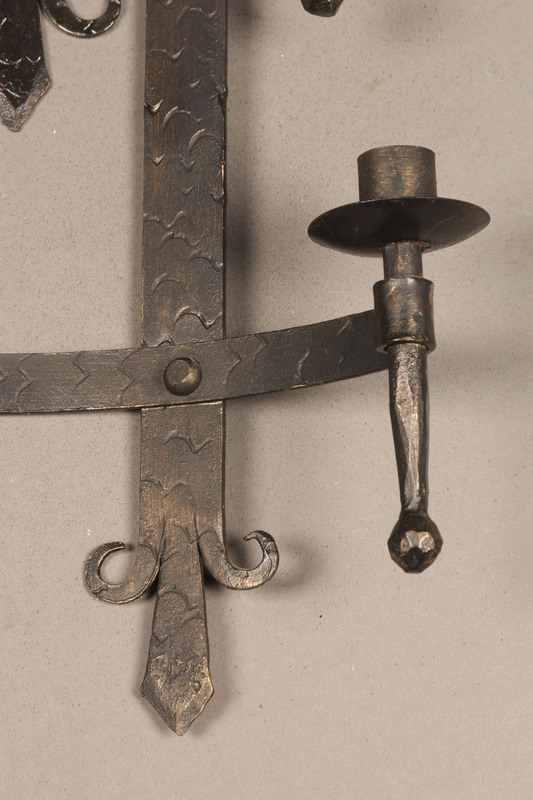 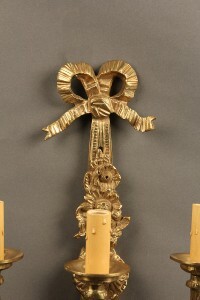 Late 19th century French wrought iron sconce with flure-di-lis design and four arms. 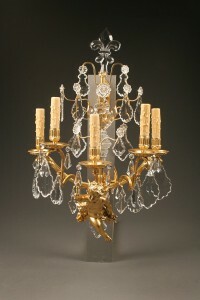 Massive French bronze and crystal sconce with cupid. 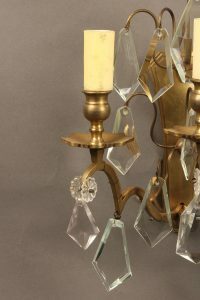 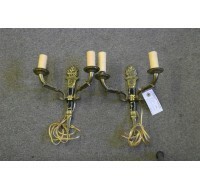 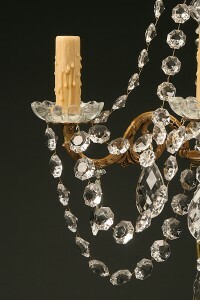 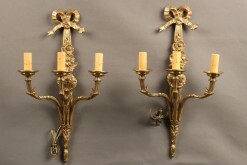 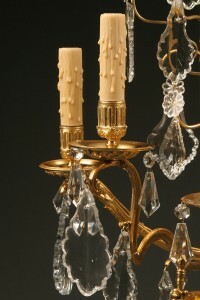 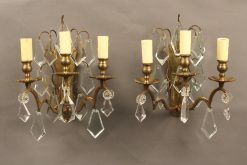 3 matching French bronze and crystal 3 arm sconces.